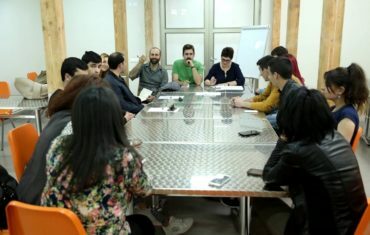 Gyumri Project Hope Foundation announces the completion of Phase 1 stage of its research. One of the core factors of Phase I report for all the teams was the implementation of so called “Environmental Scan” of previous projects and/or aid programs initiated by international and local organizations after the 1988 earthquake. While not all archived data and material was available, thanks to its partners GPH was able to create a solid list of important projects which had visible results in the daily life of the city. In the short period of four months of the first phase GPH teams produced analysis, surveys, preliminary proposals in city planning, architecture and infrastructure, industry and tourism development. During the upcoming months GPH will continue meetings with partners and experts develop strategic and implementation plan for the selected projects, ensure synergy between projects and their correspondences.